﻿ TRAINING | Donglai Coating Technology(Shanghai)Co.,Ltd. 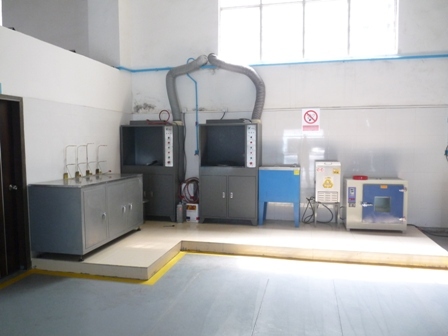 In Donglai facilities completed and well equipped training centers, our professional and attentive trainers deliver a comprehensive range of courses and training programs. 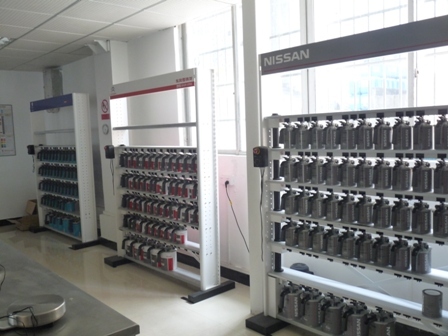 Different levels of training programs are available for color matching, application and workshop management etc. 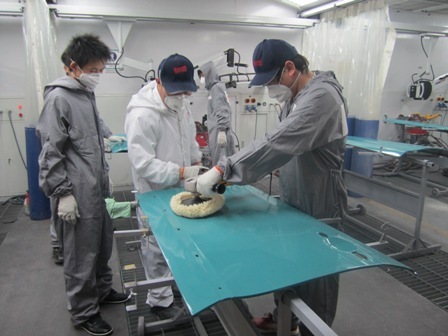 No matter starters, experienced painters or workshop managers, Donglai courses will be always suitable for you. Donglai bulid training centers in different region. 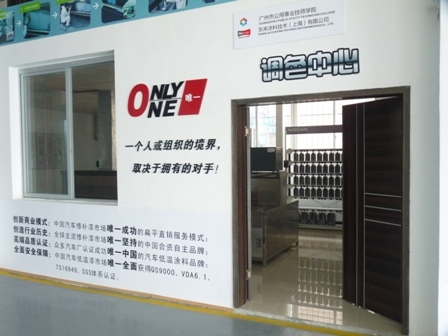 In China, our training center is located in Shanghai, Guangzhou and Beijing. 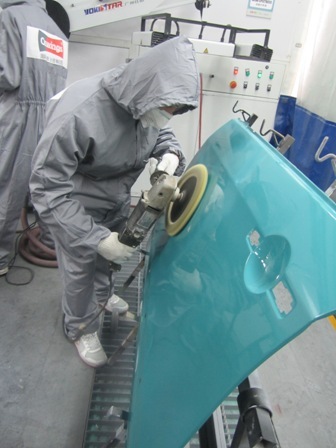 3 training programs (color application, color matching and workshop management ) to meet the paint shops’ requirement. 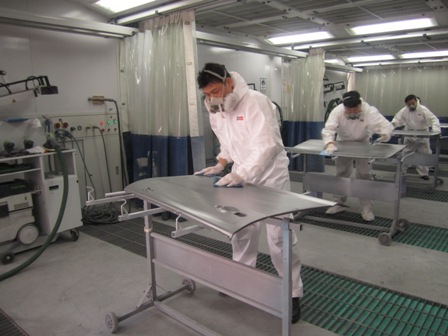 meet the paint shop staff’s individual training and knowledge levels. Participants will learn to understand the basic knowledge of paint products and basic skills. 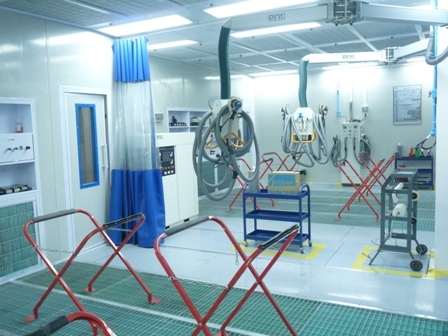 Participants will learn to understandthe feature, category, utilization scope of the car refinishing products. 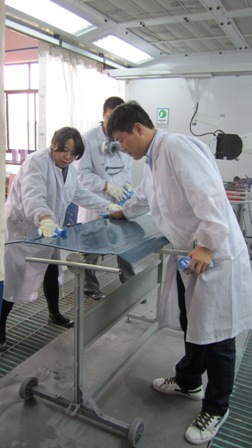 Participants will learn to study the paint working process, how to prevent the spraying defects and problems. 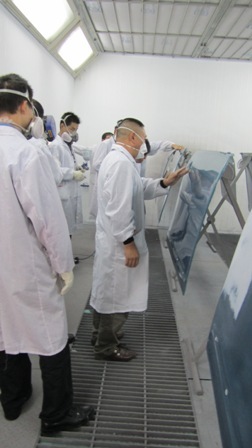 Participants will learn how to use the spraying equipment, including the sanding system, infrared drying, spray gun and others. Participants will learn to understand the importance of health and safety protection in the paint shop, and how to do the personal care. Participants will learn how to effectively manage and improve efficiency, whist ensuring the quality and reducing the cost, and establish a reasonable management model and labor allocation. Connection of color and automobile. Three key elements of color. How to present the color. Definition, purpose and basic knowledge of color matching. Color matching equipment and tools. Chroma, lightness and saturation of color. How to fine-tune the metallic paint. The characteristics of silver toner. The procedure and problems during fine-tuning.